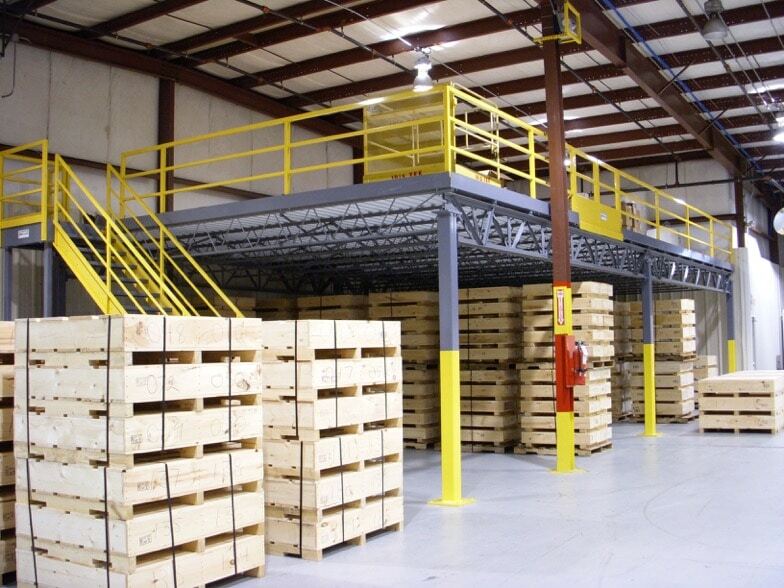 Warehouse Steel Mezzanine Systems allow you to add new floor space in your existing facility. By taking advantage of areas in your plant where the ceiling height is more than 16’ high, you can create an entirely new level, perfect for additional storage, production, and offices. Most importantly, warehouse mezzanines can be a way to evolve your space to fit your needs better. Also, it can keep you from outgrowing your facility before you’re ready to move or construct a larger building. How mezzanines are constructed to create more floor space. Mezzanine work platforms are constructed to meet your specific needs. The clear height above or below the mezzanine is designed to fit your headroom requirements. The floor surface made of ResinDek, plywood, bar grating, or steel plate based on the needs of your operation. Access to the mezzanine level achieved with a combination of stairs, gates, and powered material lifts. Cranston Material Handling of Pittsburgh, Pennsylvania has decades of experience in designing and installing mezzanine floor systems for our clients. Flexible, cost-effective, and installed in a short period of time, mezzanines can let you expand and grow your business operations while staying in your current location. There are several Types of Warehouse Steel Mezzanine Systems. 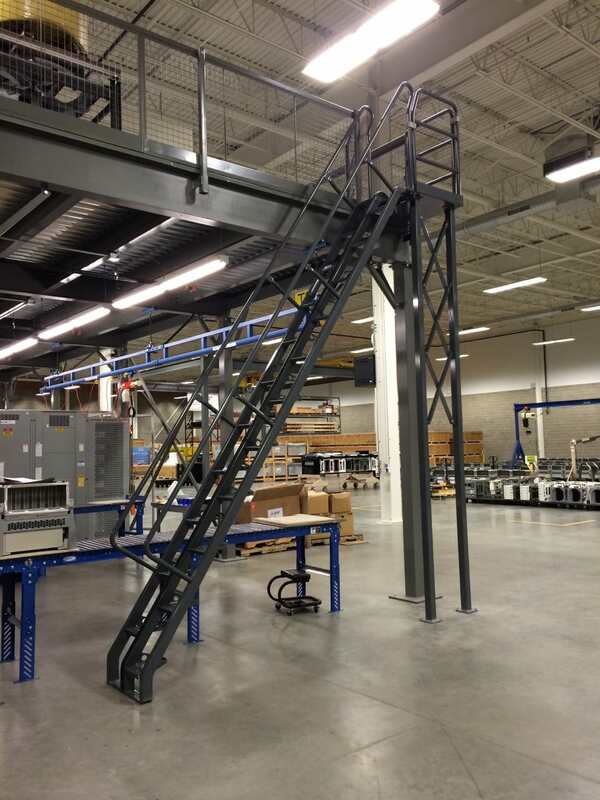 Free Standing Mezzanine: Has its support columns that position under the floor structure in locations that minimize interference with your operations. They provide for the greatest flexibility in how you arrange workflow and storage both under and on the mezzanine. Equipment and Work Platforms: Allows for the placement of equipment above the floor. The equipment can be feeding the operation below or directly placed up above to free up valuable floor space. The platform can be used to not only support equipment but to maintain and monitor it as well. Rack or Shelving Supported Mezzanine: Utilizes your existing or soon-to-be installed racking or shelving, as the support structure for your system. This provides high-density storage at a lower cost. Mezzanine Layout, Design, and Installation are what Cranston Material Handling of Pittsburgh, Pennsylvania does best. 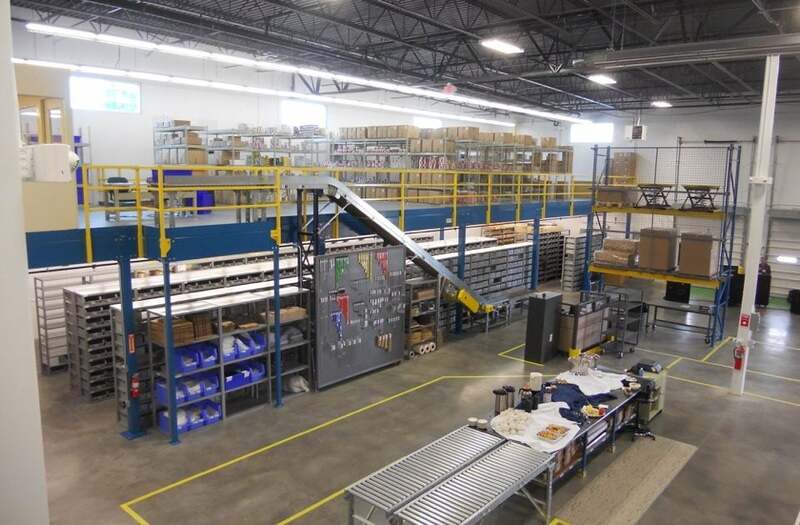 We work hard to ensure that your mezzanine fits your facility and allows your operation to become more efficient. Our Cranston team starts by listening to your needs and taking detailed notes. We take into consideration the dimensions of your existing space, obstructions and the other criteria. Furthermore, we will tap into our experience to provide a design to meet your needs and efficiently overcome any challenges. Once the plan agreed upon, engineered drawings are provided to ensure the integrity of the system and confirm that all obstructions have been considered and accounted. We then install the mezzanine with as little disruption as possible to your day-to-day business. Cranston Material Handling of Pittsburgh, Pennsylvania is known for offering the highest level of professional consultative sales and service of industrial equipment, project management, and equipment installation in western Pennsylvania and northern West Virginia. To speak to an experienced material handling professional about your project or need, call 412-741-8060 or email sales@cranston-material-handling-equipment.com today!